Hello, forex friends! In case you missed them yesterday, the BOC gave its latest monetary policy statement and the minutes of the May FOMC huddle got released. And here are the main takeaways from those two top-tier central bank events that you need to know about. The minutes of the Fed’s May monetary policy huddle got released yesterday and the Greenback tumbled lower against its peers. What’s that all about? It therefore looks like there are at least two blatant hawks, although they opted not to vote for a hike in May. Also, the two hawks were not named. Still, that means that the two hawks will likely vote for a June rate since the market is expecting that there’s gonna a rate hike come June. The Fed did not provide any updates on the potential balance sheet policy shift during the May FOMC statement. However, the minutes revealed that the FOMC’s staff proposed a “possible operational approach” for reducing the Fed’s balance sheet. Wow! That’s sounds so technical and sophisticated, huh? To help the newbies out there, first understand that the Fed has a humongous balance sheet, thanks to its QE program. 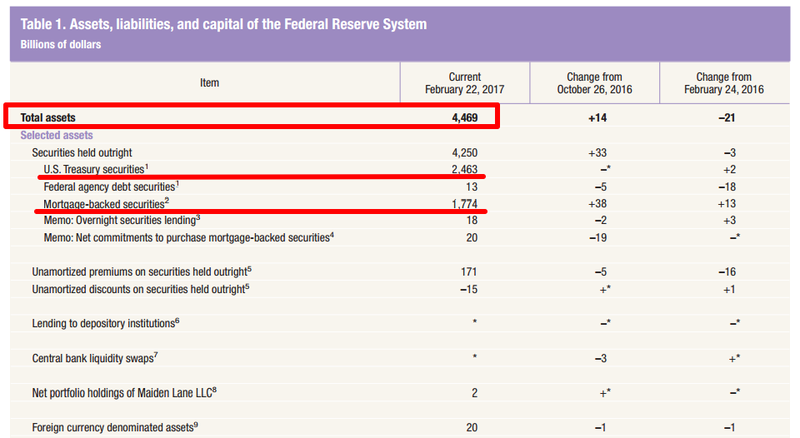 To be more specific, the Fed has about $4.5 trillion worth of assets in its balance sheet. And most of those assets are U.S. government bonds and mortgage-backed securities. And the Fed’s current policy is to maintain its godzilla-sized balance sheet by reinvesting all principal payments back into bonds, thereby putting pressure on bond yields, which helps to keep long-term borrowing costs low. And in simple English (that can hopefully be understood), the staff proposed that the Fed allow a set amount of its bond holdings to mature. And only the principal payments beyond this set amount would be reinvested. After that, the set amount would be raised every three months until it reaches a predetermined level, which has not been defined yet. In even simpler terms, the staff proposed that the Fed would unwind its balance sheet slowly at first. The pace of unwinding will then pick up every three months until the maximum predefined pace is reached. After that, just sit back, chillax, and wait until the balance sheet normalizes. Despite the Fed’s cautious tone on growth, odds for a June rate hike held steady at 83.1%, according to the CME Group’s FedWatch Tool, very likely because the Fed also hinted at a rate hike “soon” and because a “couple” of Fed officials said that they would have voted for a rate hike during the May meeting, although they ultimately decided not to. However, the proposed plan on unwinding the Fed’s balance sheet caused odds for two rate hikes by December to tumble from 53.4% to 45.2%, likely because trimming the Fed’s balance sheet would have a similar tightening effect as a rate hike, which made market players think that further hikes would not be needed. And this fall in future rate hike expectations likely took its toll on the Greenback. The BOC decided to maintain its current monetary policy as expected. And the Loonie appreciated as a result. Why? What did the BOC have to say in its official press statement? Well, read on and find out. With regard to headline inflation, the BOC just said that “Inflation is broadly in line with the Bank’s projection in its April Monetary Policy Report,” even though the actual reading missed the BOC’s own forecast. No sign of worry whatsoever. The BOC also noted that the consumer spending and the housing market remain “robust” thanks to an “improving” labor market. The BOC does admit that “wage growth is still subdued,” though. This means that the BOC thinks that the Canadian housing market is still relatively stable, although the risk of a housing bubble is still there. As for trade, the BOC was openly downbeat on that, saying that “export growth remains subdued.” However, the BOC was quick to add that the weakness in export growth is still in-line with the BOC’s forecast. 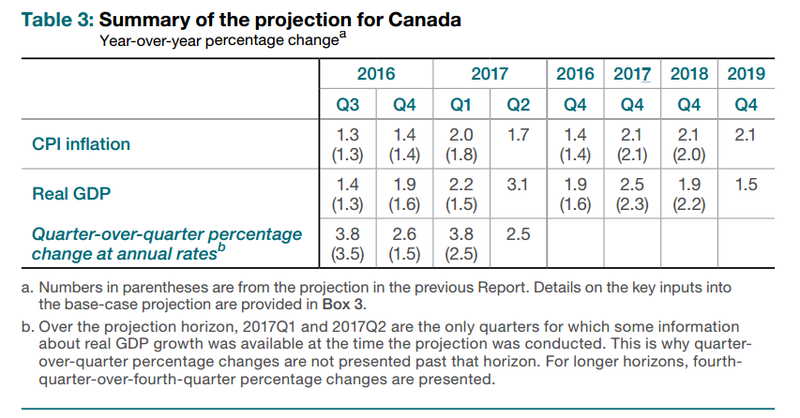 This is not really surprising, though, since the BOC did forecast in its April Monetary Policy Report that growth will moderate a bit, at least on a quarter-on-quarter annualized basis. The BOC did not provide any forward guidance, but given the lack of worry on inflation, as well as the BOC’s overall optimistic assessment on growth and constant emphasis that everything was still in-line with its forecasts, it’s probably safe to say that the BOC maintained and plans to maintain its neutral policy bias. Anyhow, this lack of worry on the part of the BOC and its overall optimistic assessment are very likely the reasons why the Loonie jumped higher as a reaction to the BOC statement.